Born and raised in New York, I graduated from Boston University with high honors, and attended Law School on the West Coast. I then decided to devote my time energy and skill toward building a practice centered on helping accident victims. 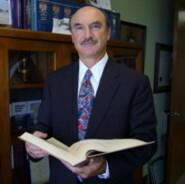 For over 30 years we have specialized in personal injury cases.